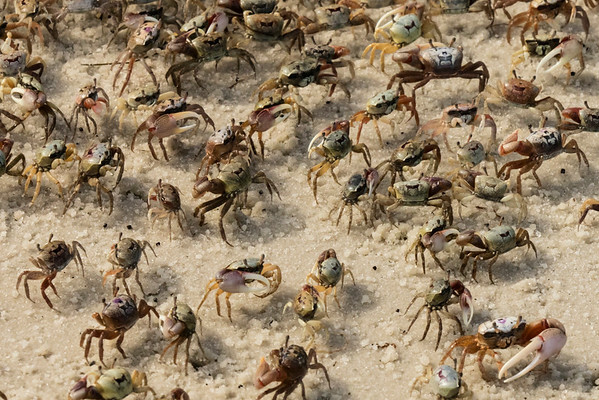 These fiddler crabs were storming the bay beach. Often they are out in the full sun of day and it is hard to perceive the variation in color that they have. Both feet and shell vary greatly.